This is the same problem that VW dealers had with the CC. The completely redesigned Porsche Panamera is a huge improvement over the old, pudgy-looking model and should help the brand reach new sales records. We were certainly blown away by the new Panamera, especially the 680 horsepower Turbo S E-Hybrid. 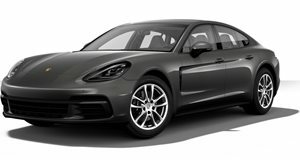 Porsche also brought out a new wagon variant of the car called the Sport Turismo, which we think looks even better than the standard car. Unlike any Panamera before it, the Sport Turismo features a 4+1 seating configuration, which should make it easier for dealerships to sell. In an interview with Automotive News, Joe Lawrence, COO of Porsche Cars North America said that there were supply issues with the Panamera, but is now finally arriving at dealers (a few months late). "It's really taking off, and we've got a great order intake on it" Lawrence said. However, the dealerships have expressed a lot of interest in the Sport Turismo because it has seating for five passengers, whereas the normal model only has room for four. "It's fair to say that dealers would like to see [five seats] also available in the sedan," Lawrence said. "That's something we're discussing, and we'll see what the future holds." We could easily see Porsche offering a fifth seat as an optional extra, as it does so well. We saw a very similar phenomenon with the Volkswagen CC and Mercedes CLS. The CC added a middle seat later in its production run and the CLS came with a middle seat on the Europe-only Shooting Brake variant. Volkswagen dealerships complained that the CC would be easier to sell to customers if it had seating for five passengers and Volkswagen listened. Porsche is one of the most customizable cars in the world, so it would make sense to offer an additional seat at an additional price. Porsche is good at keeping its customer base happy, and finding new ways to charge for optional extras.